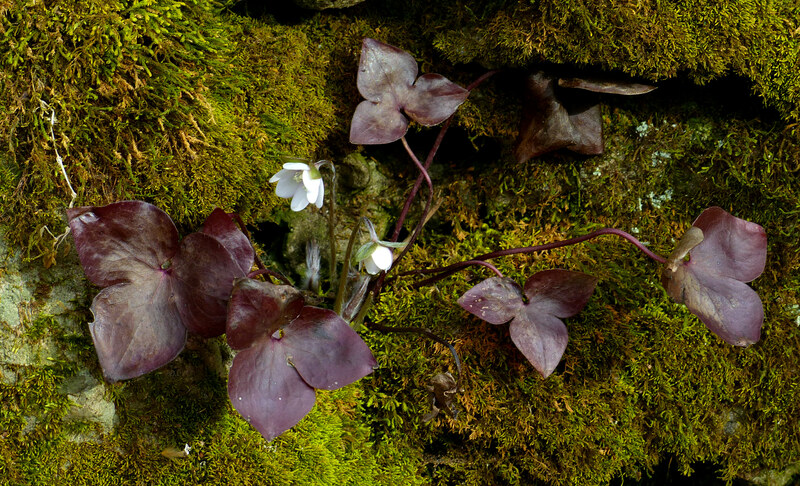 We had been seeing early spring wildflowers closer to home so we though a trip to Clifton Gorge, an area known for it’s unspoiled beauty as well as wildflowers, to see what might be popping up. Driving to our destination we tempered our enthusiasm by agreeing that sometimes it’s just as important to take note of what one doesn’t see as well as what one does. 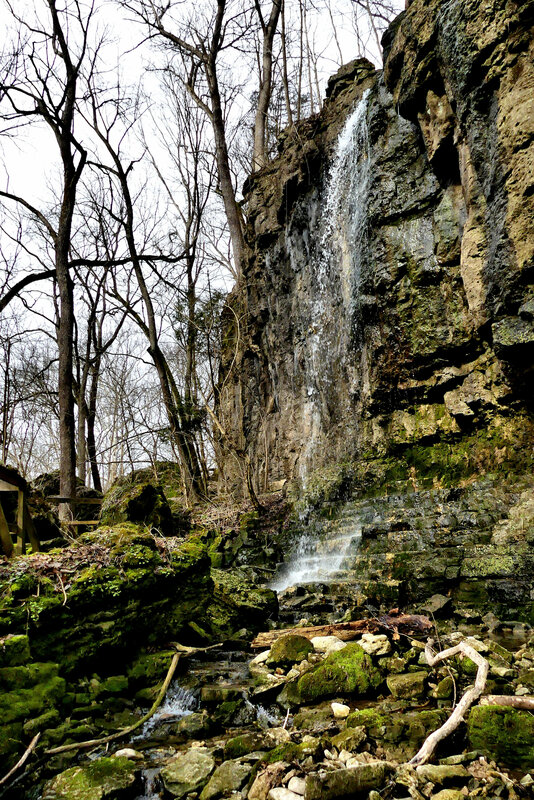 and besides there are few places in Ohio that are better to take a hike. 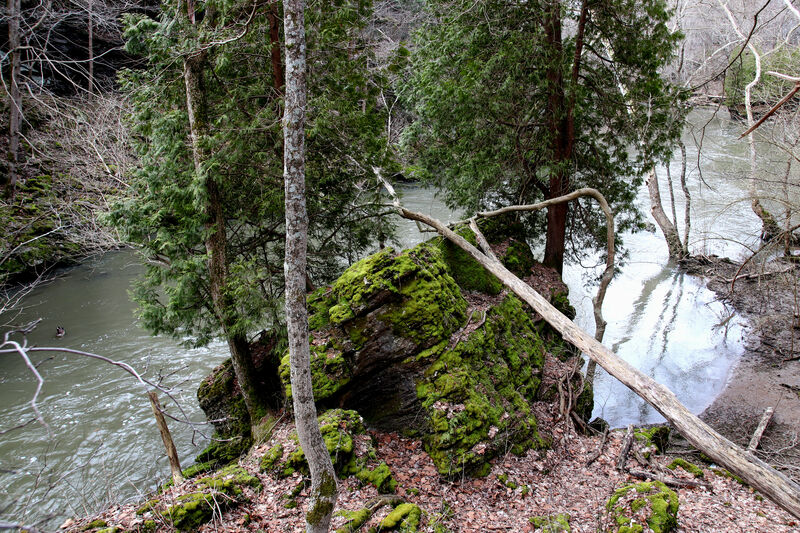 Conifers along the Little Miami River add color to an otherwise drab early spring landscape. 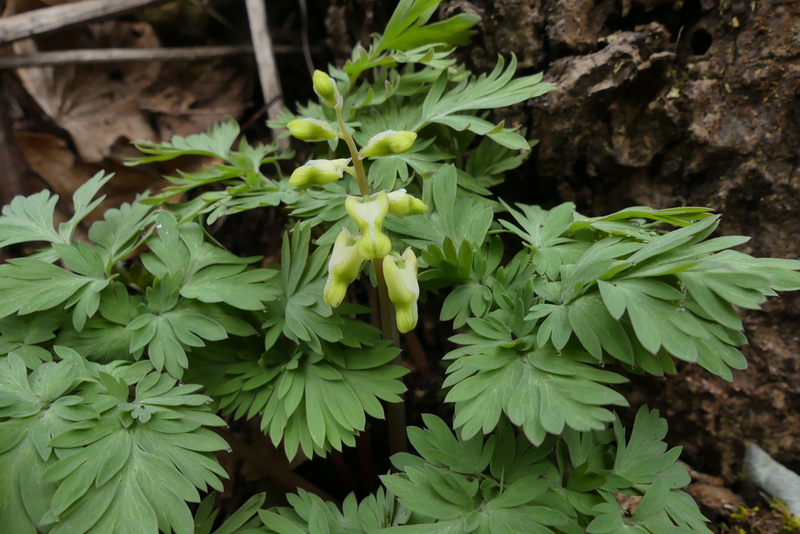 Dutchman’s Breeches a few days away fro being in full bloom. 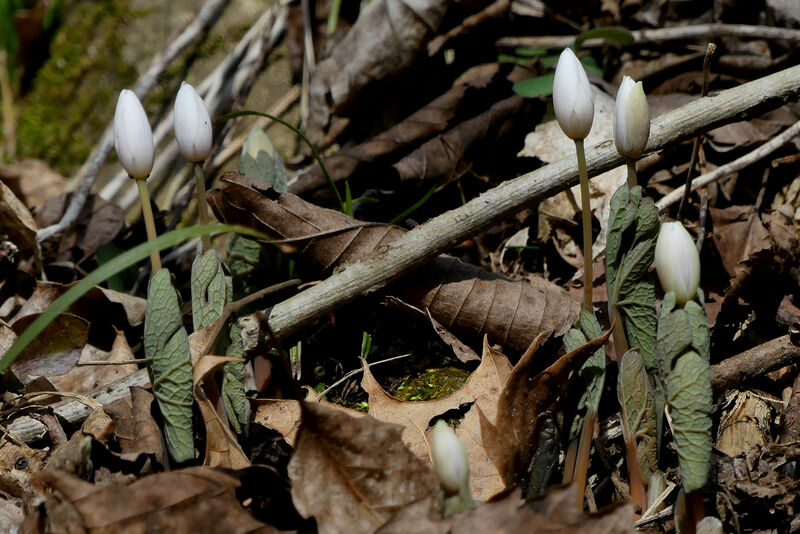 Actually, this Bloodroot may have opened up later in the day. 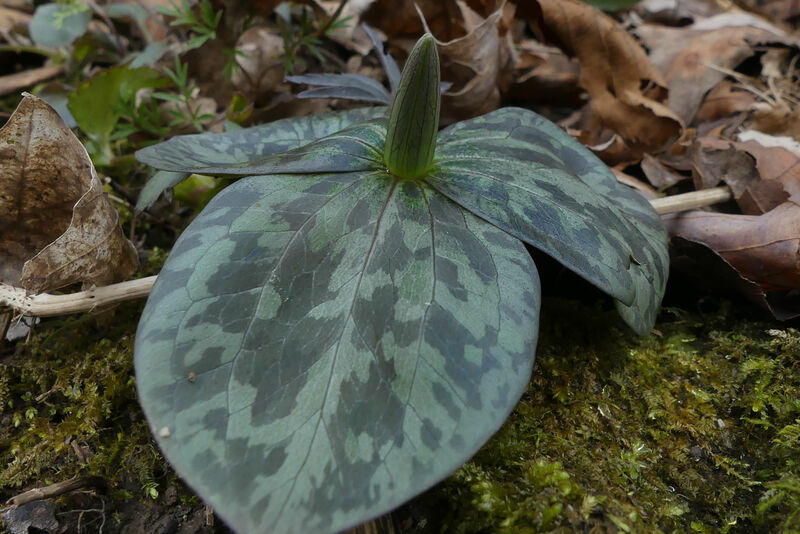 Toadshade Trillium’s leaves are beautiful. In this case, the flower, which never really opens up, is a few days away from blooming. Later in the year this small waterfall will be no more. But other flowers were in full bloom. 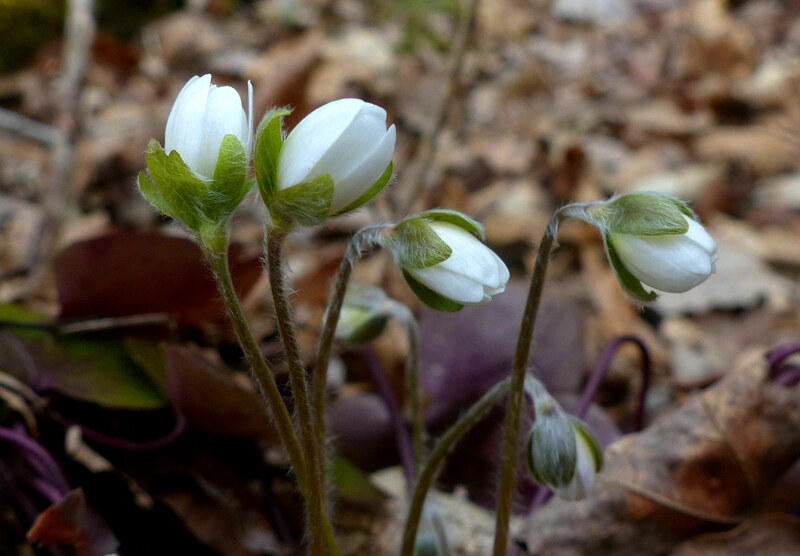 Hepatica getting ready to open, (Donna). There are 39 native Ohio species. 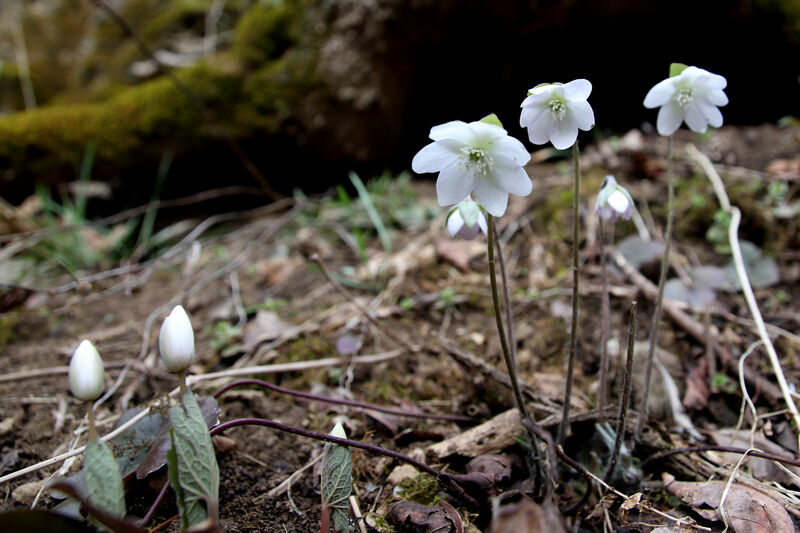 Along with the Snow Trillium and Harbinger of Spring, Hepatica is one of the earliest Ohio wildflowers to bloom, (Donna). 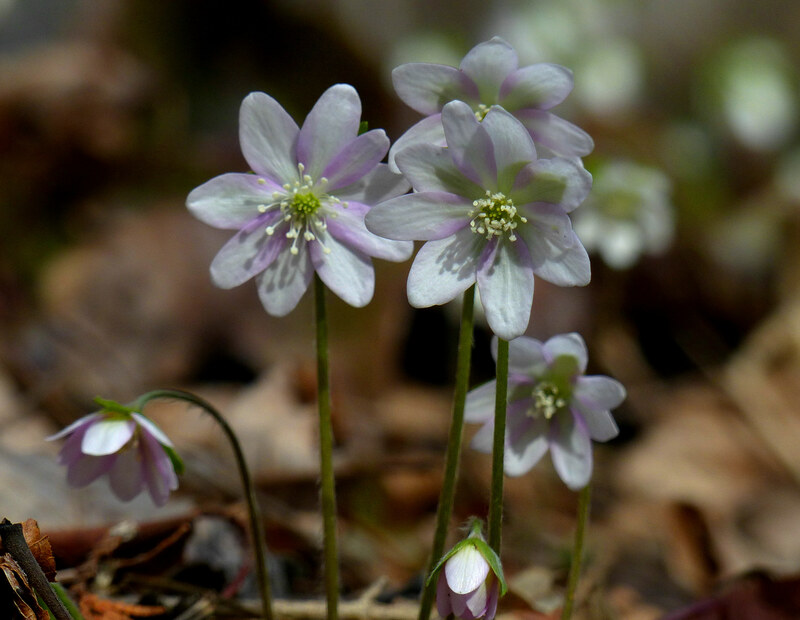 Hepatica, in this case sharp lobed, showing it’s leaves which disappear quickly once the flowers bloom, (Donna). Bloodroot, trying to catch up. This Blue Hepatica was stunning, (Donna). 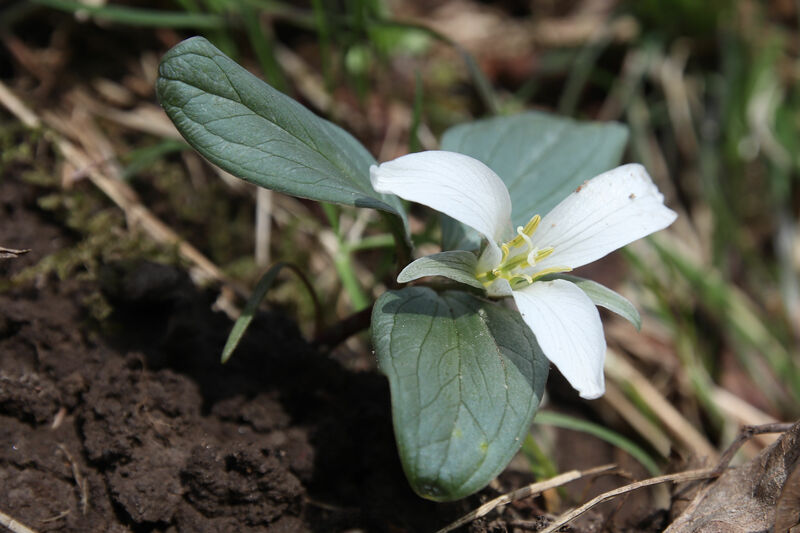 A few Snow Trillium were still in bloom. 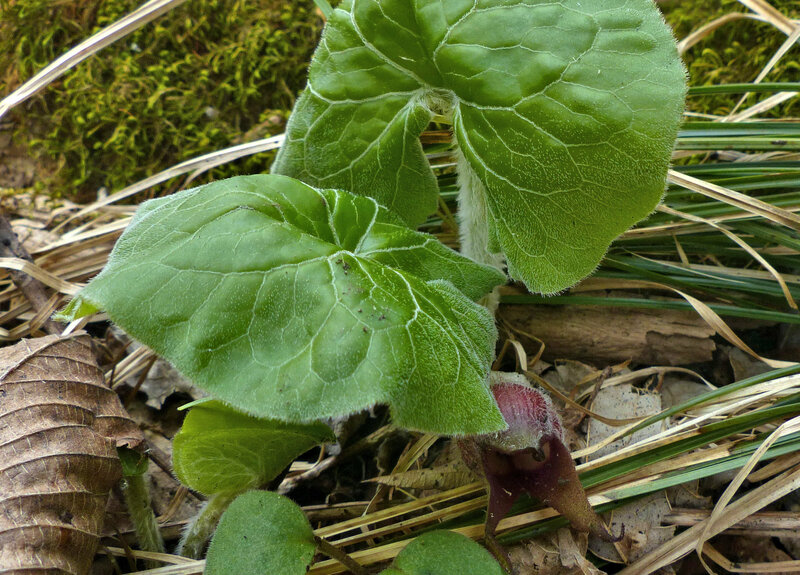 Seeming to be a bit early, Wild Ginger was also found. Wild Ginger has a flower but you need to look closely, (Donna). 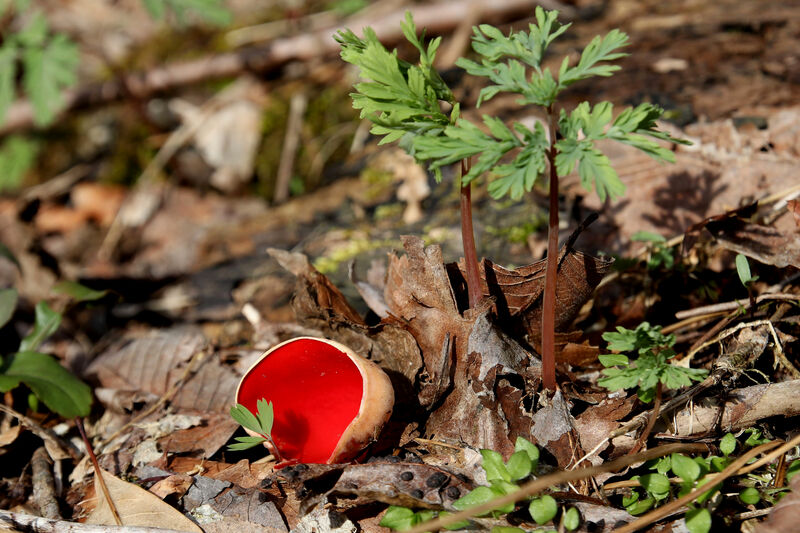 A Scarlet Cup group perhaps a bit past their prime. This one looked as though it had emerged more recently and had lovely color and shape. 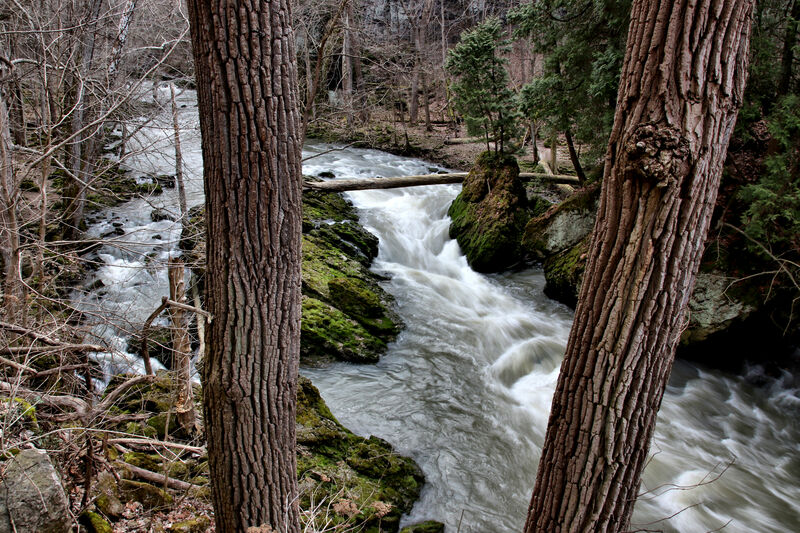 We hope to get back to Clifton Gorge in a couple of weeks to see how things have changed and very few things speak of change as clearly as spring. 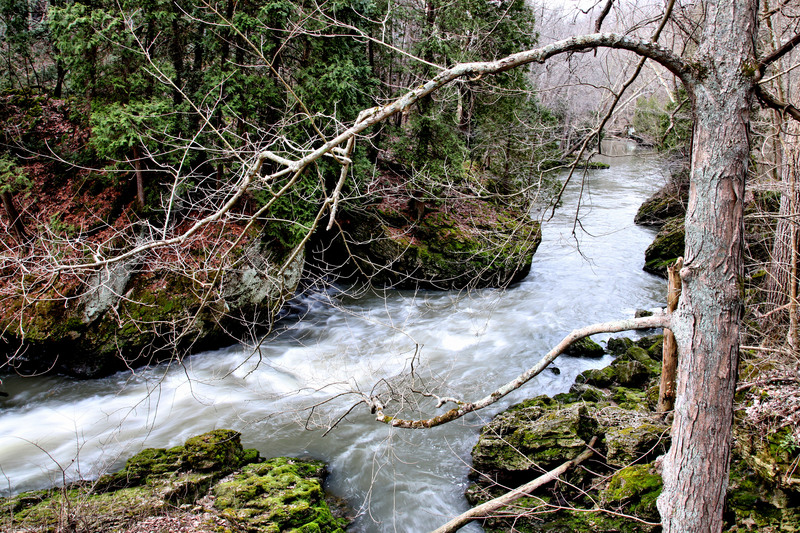 A favorite Clifton Gorge landscape. Wonderful stroll thru Clifton Gorge — thank you for the trek! Do you take a particular trail? I’ve not been there, but would LOVE to go check it out! I am glad that you did get to see some beautiful flowers on your walk. The gorge itself would have been enough but what a beautiful lot of flowers you found. 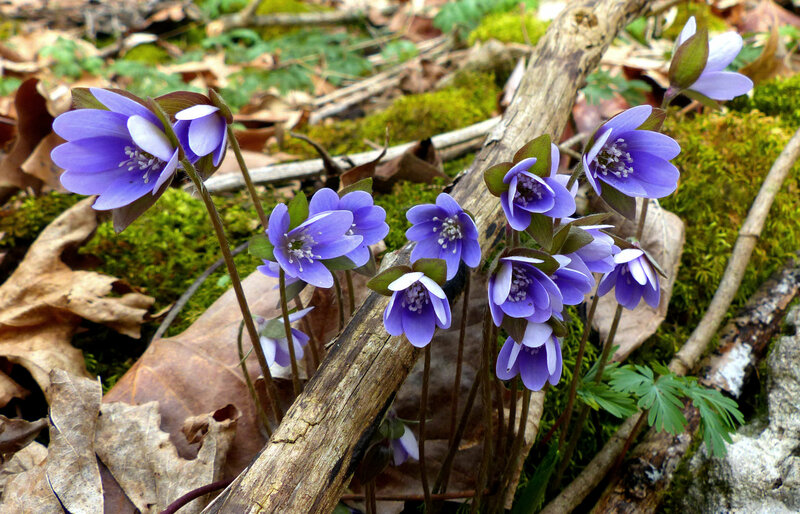 That blue hepatica is a knockout! 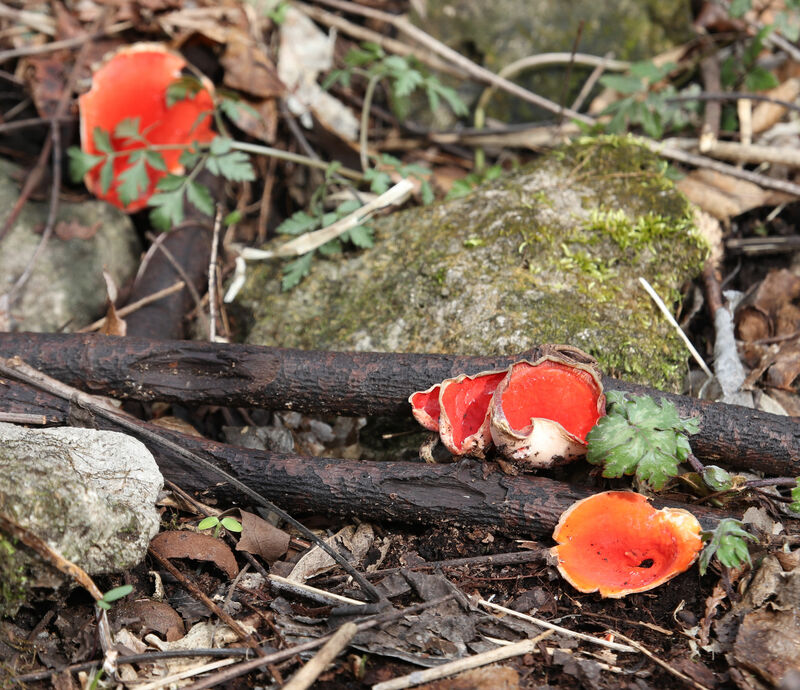 The scarlet cups are rare here. I’ve never seen one.